Focus: To learn how forms fit into your marketing strategy and how to create great forms and add them to your website. After this class, you’ll understand how forms work as part of a successful conversion process, have a strategy for developing a customised form and learn how to create a form. When it comes to the inbound methodology, forms fall into the convert stage, where we convert visitors into leads. Now, that doesn’t mean that forms aren’t applicable in other stages. When leads return to your site and fill out different forms, you’ll collect more information. With more info about the leads, marketers and sales reps alike can have better communication with them. A conversion process typically begins with a Call-to-Action, or a CTA. When a visitor clicks on it, they’re brought to a landing page where they fill out a form with their contact information and become a lead. After that, the lead is directed to a Thank-You page where they receive the offered content. A form powers the conversion process. ​Forms collect information and add to your contacts database or email list. Either a new lead is created, or if it’s a lead or customer that already exists, any new information that is collected should be added to the existing contact information. When thinking about how to construct a form, consider that your forms are an equal information exchange. I’ll give you something, typically a content offer, if you give me something, or fill out the form. 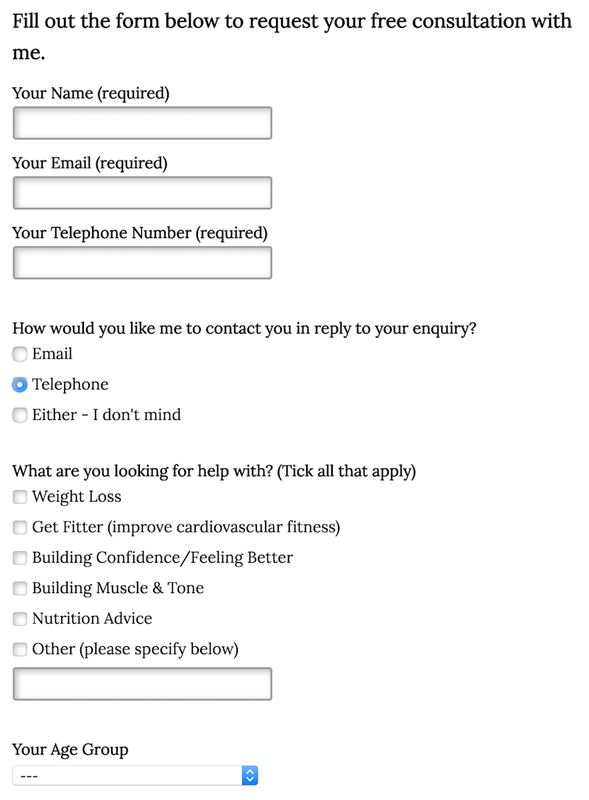 It can be tempting to ask tons of questions on your form, but that doesn’t always result in good conversion rates. As a simple guide, ask yourself if you’d be willing to answer the questions that you have on your form. When creating a form, there’s not an exact formula that works for all marketers. 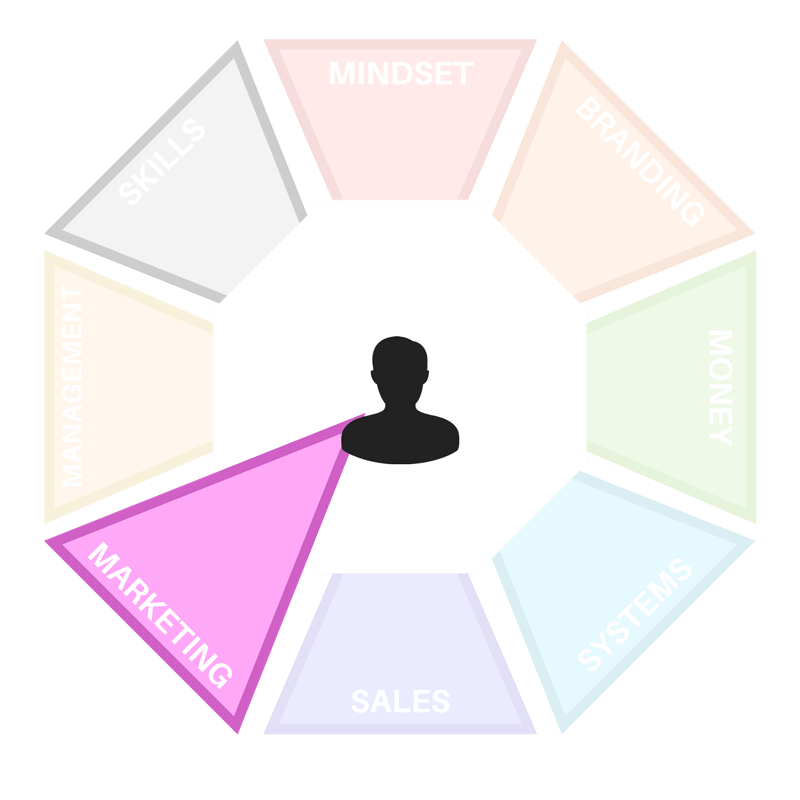 Every fitness business is different and every individual business has different personas. Your forms will be just as unique as your company. The form will be placed on a landing page and we’re aiming for a minimum submission rate of 20% on the landing page. Let’s go over some best practices. Use these best practices to create a great form that converts well and gathers helpful information about your leads. A common mistake is asking too many questions. If a visitor feels like they’re being asked for more than what the offer is worth, then they might not fill out the form. Focus on questions that help you segment your contacts for your next phase of marketing. Awareness - These leads are only just finding out your business exists. They don't know, like or trust you yet but you have a great offer for them. They'll likely want to enter the least amount of information as possible. ​Consideration - Leads in the consideration stage know more about your business, they've previously received an offer from you and will be more receptive to longer forms. Here, you can ask a lead what problem they are trying to solve. ​​Decision - Leads in the decision making stage know, like and trust you or your business. They're ready to buy and will be happier to fill in a longer form. You can use forms at this stage to qualify leads. 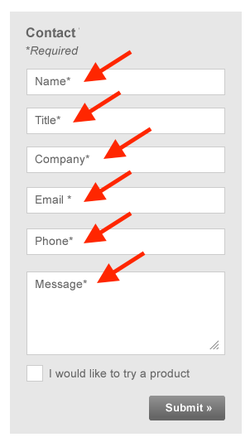 The next best practice is to always add a label and placeholder text to each form field. A label on a form field defines what the field is asking for. It prompts for input on the form and it can be read by screen readers, so labels are an important accessibility feature of your form. The thing to keep in mind is that more explicit you can be, the better. The label in this example reads phone number. Think about your phone number for a moment. Did you think of your home phone, work, mobile or some other phone number that you have? ​Without a good label, you might not get the data you had hoped for. Placeholder text on the other hand, shows what kind of information you are looking for in the field. If I asked you to type in your phone number, would you add the country code? Would you use spaces, periods or dashes in your phone number? Different people will format their phone number in different ways. Using placeholder text on your forms keeps your visitors from having to guess how to format or phrase their answer, which leads to better data collection and in turn better segmentation for you as a marketer! Lastly, you might need to use help text in order to explain the form field a little further. Here's an example. Let's say you have a form field that asks users to select the best day for you to contact them. The help text could read (check all boxes that apply) to ensure that visitors know to choose every option that is applicable to them. Which leads us to the last best practice we’ll discuss. Form fields should have limited input options when appropriate. Whenever you create a new field for the form you’re building, take a moment to consider what kind of field you’ll use to ask the question. Variety in the field type can keep the visitor engaged. When a form is easy to submit, there’s a higher chance that a person will fill it out. When you pick the right field type for your form, you’ll get better data and have an easier time with creating lists. 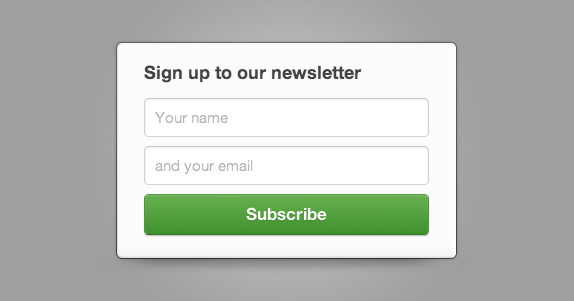 Here are the best practices for creating forms. Alright, so now that you’ve crafted some great questions for your form take a step back and evaluate the form as if you were the lead. This is a simple exercise, but a rather important one. Would you be willing to answer all of the questions you’ve posed on the form? A form that’s too long may turn away some visitors. Ask yourself if you’d be willing to exchange this information for different types of offers and then imagine how your buyer personas would interpret the form. Is it visually overwhelming with the number of questions that are asked? Is there some information that might be too sensitive to share at a certain stage of the buyer’s journey? You might need to make some changes to the form to make sure that you don’t miss out on the opportunity to convert a visitor into a lead. Do your best to keep the form as short and simple as possible. WHAT DO I USE FORMS FOR? Forms are building bricks of the lead generation and power the conversion process. After readers click on a CTA, they will be directed to a landing page to fill a form before they will be directed to the Thank you page where they recieve the promised value. WHAT DETAILS OF THE READERS SHOULD THE FORM ASK FOR? The amount and quality of data requested on a form depends on the purpose of that form and on the stage the buyer is at in their journey. As a general rule of thumb less is more here. Think about how happy you would be to provide those details in the given situation. 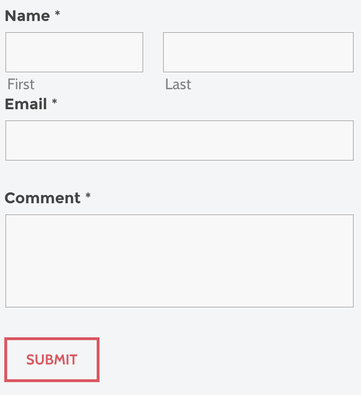 HOW SHOULD I DESIGN THE FORM FIELDS? With your buyer persona in mind, always. The easier you make their experience, the more details you will be able to access and the data will be easier to process as well. Consider structure, logic, accessibility and simplicity here.